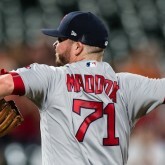 Roster Recap: Is Austin Maddox Any Good? Yet another middle reliever that may or may not be good. Workman’s back! And now he’s burned out. That was fast.